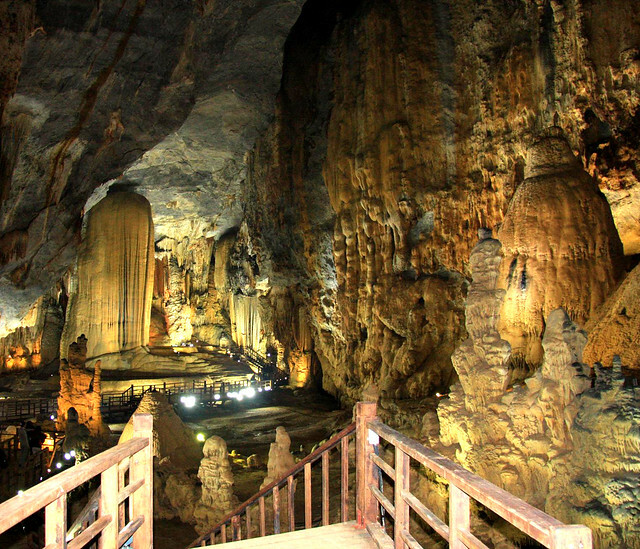 Thien Duong (Paradise) Cave, labeled the world’s most beautiful and magnificent cave when it was discovered in the central province of Quang Binh in 2005, has been open to tourists since September 3. Located in the middle of Phong Nha-Ke Bang National Park, a UNESCO World Natural Heritage Site in Quang Binh, the cave was formed around 300-400 million years ago, surrounded by underground streams and rocky mountains. The cave is 30-100 meters wide, with the widest point measuring 150 meters, according to the British Caving Association, the Governing Body for Underground Exploration in the UK. There are two stalactite pillars, each about five meters high and a rock arch around 100 meters wide. Take a deep breath before you go further to prepare yourself for what is ahead, or you will think you have stepped into a primitive forest that aged into stalactite. Stalactites that look like temples, cranes with their arched necks looking up to the sky and a pine tree with hundreds of branches are dotted throughout this underground world. With a little imagination, there is no end to the shapes to be found in the cave. What’s more, around Thien Duong Cave are dozens of stalactite mounds 30-50 centimeters tall, resembling Buddha statues, some of them with diameters of more than a meter. One stalactite structure looks like the communal house of the Central Highlands people. Howard Limbert, a member of the British Caving Association, says Thien Duong Cave might be the longest dry cave in Asia. 12h15: continue to Paradise Cave to explore the glamor of Asia’s longest dry and beautiful than the Phong Nhais inherently Natural Wonders of the World with the beautiful of nature given chemical. 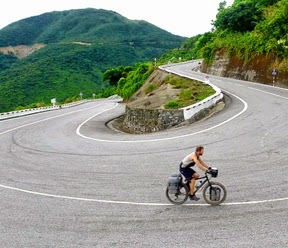 From the historic Ho Chi Minh Road (former Ho Chi Minh Trail), you veer off on a path through dense forest for about four kilometers, then you climb 519 rocky steps, and you’re in… heaven, well, Paradise.